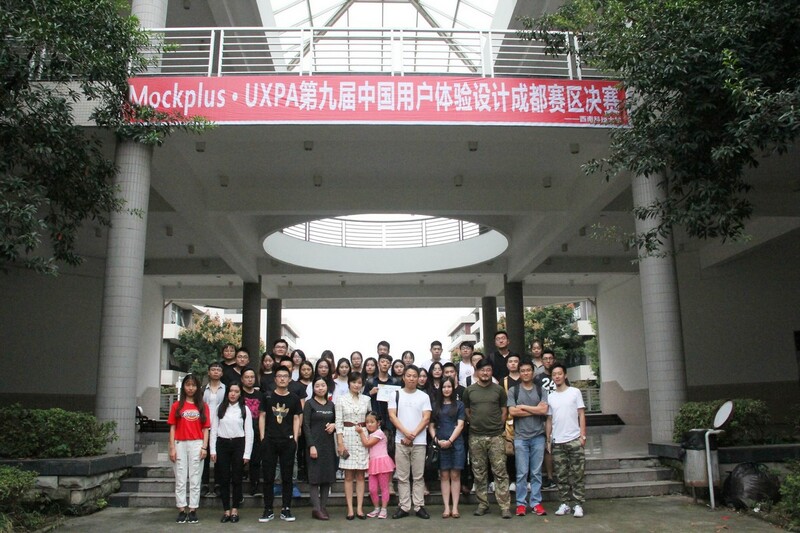 On September 26, 2017, the 9th Mockplus & UXPA UXD Award Final was held successfully at Southwest University of Science and Technology in Chengdu. The top 3 winners were selected among all the 7 teams after intense competition. The 7 teams are all consist of college students. The universities are Chongqing University of Posts and Telecommunications, Xihua University and Southwest University of Science and Technology. 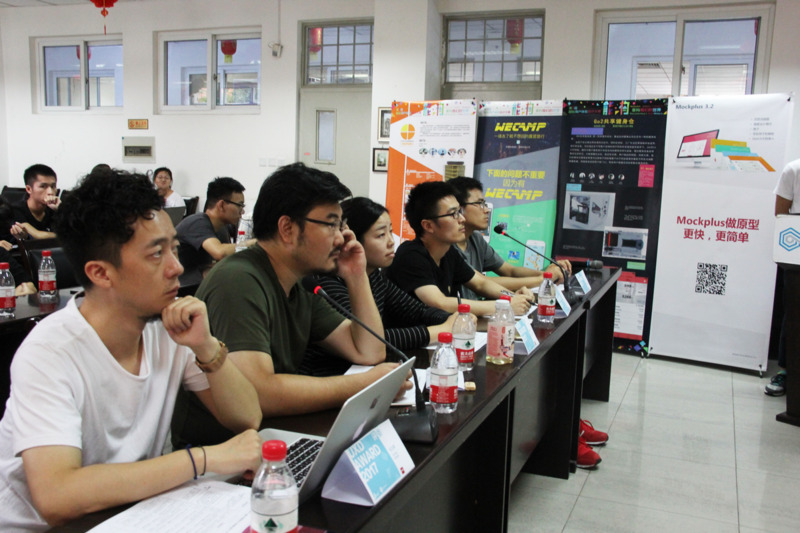 Many experts of the design industry presented as the judges, including Gang Liu, Innovation Center User Experience Design Manager of the Sichuan Changhong Electric Co., Ltd, Sibai Yang, the Technical Director of Mockplus of Jondge Software LLC, Weifeng Wu, the Design Director of Chengdu Juma Technology Co., Ltd, etc. Yong Cai, the president of the Institute of Manufacturing, made a speech at the opening ceremony. His remarks stressed that the purpose of the contest is to “guide, educate, cultivate and boost college students towards design practice”, and aimed at discovering and cultivating students with excellent design talent to enter enterprises. All the teams are putting their own effects into exertion. From the early product design of user research and prototyping to the next UI & UX design, then to the commercial value description, all teams made detailed explanations. After fierce competition, the judges selected the top 3 best ones. The first prize is Sansansan team, the second prize is Maffers, and the third is yeyibidan team. In term of the contest rules, the first and the second prize winners can be in the National top 12 directly, and the third prize winner is in pending until compete with other third prize winners of the rest competition area in China. 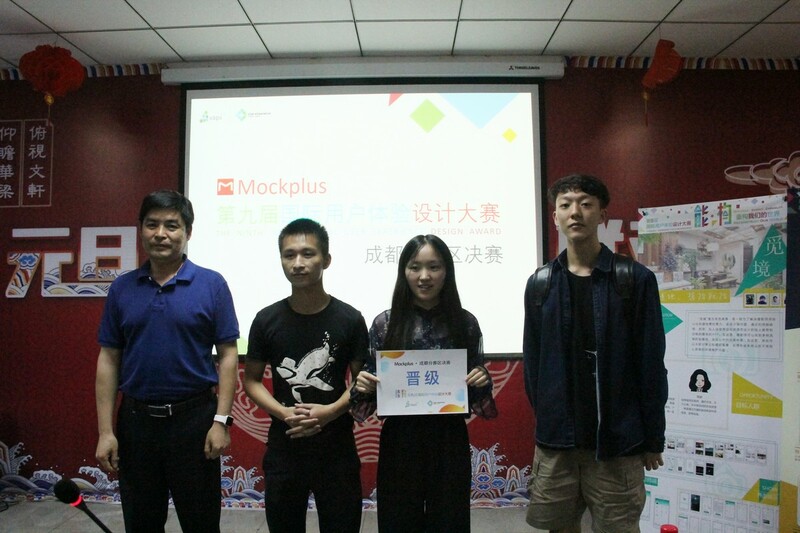 At the end of the contest, Miss Zhang Dan, designer of Mokcplus, presented the professional prototyping tool to all the teams and judges. Mockplus is a tool featuring faster, smarter and easier. With a simple drag-and-drop to build interactive prototypes effortlessly, designers can do fast interaction. With more than 3,000 icons and nearly 200 components, designers can do fast design. With Scan the generated QR code to preview prototypes on the native device instantly, designers can do a fast test, etc. Especially with the new features in V3.2, Mockplus added the repeater, UI flow, templates, Sketch import, Mindmap design mode and Auto data fill. All those features can make your design work like charming. Background information: The Customer Experience Design Competition (UXD Award), which was launched in 2009 by UXPA China (User Experience Professional Association), is the first and only product design competition towards the user experience. The Award is for college students groups meanwhile cooperates with the universities and the enterprises to carry out. The judges all from the senior industry experts. Mockplus has always been committed to cultivating excellent college students. As it is a faster and simpler desktop-side prototyping tools which support mobile, web, desktop applications and other prototype design. It’s definitely a good choice for all designers from college students to experts.